VP300 eco is a well built, thoroughly reliable unit that can be relied upon to do the job day in and day out. It is ideal for cleaning offices, hotel rooms, retail outlets, and similar light to medium duty applications. With very low level of noise, it is ideal for daytime cleaning offices, reception areas, hotel rooms and other noise sensitive areas. VP300 eco causes minimum disturbance to people who are within the cleaning vicinity. 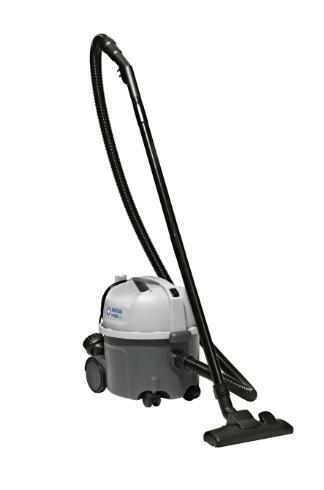 The eco labeled VP300 offers 25% reduced power consumption whilst providing an excellent cleaning performance. All of this at a highly competitive price. As with all Nilfisk machines, the design is outstanding with careful attention given to ergonomics and environmental friendliness. The filling capacity is the best in its class, which means less time spent changing dust bags. The VP300 eco weighs just 5.2 kg making it easy to move from place to place.